Recently, videos of girls applying what appears to be a jelly on their lips is trending. No, this is not some weird new Kylie Jenner Lip Challenge; it is a game-changing beauty product. The jelly appearing substance these girls are applying to their lips is actually a lip tint called, “My Lip Tint Pack” from Berrisom that comes in a variety of colors. The tint originated in Korea and the word pack, pronounced peck in Korean, refers to mask which is peeled or lifted from the skin when dry, similar to the different face masks we are familiar with here in the U.S. However, when you lift this lip tint it leaves your lips perfectly tinted rather than removing pores or tightening your skin. The way the “My Lip Tint Pack” works is the jelly-like gloss is applied liberally to the lips and left to dry for about 15 minutes. Once dry, it peels off much like a face mask does and leaves your lips perfectly stained with the color of your choice. Check out a video of how it works below. Now ladies, this is truly revolutionary. After use, your lips are stained the color you applied for at least 12 hours eliminating trips to the bathroom during a night out, a date, or between classes and meetings to reapply your lipstick or stain. The color is there to stay all night or all day long. The colors are super pigmented so even when the jelly is gone, the color will be remain. 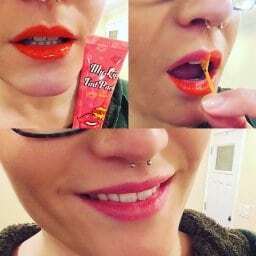 Better yet, the color will not transfer to your straw, or your hair, or onto that guy you really regret making out with like regular lip stains and lipsticks do. The color is there to stay on your lips, and your lips only. 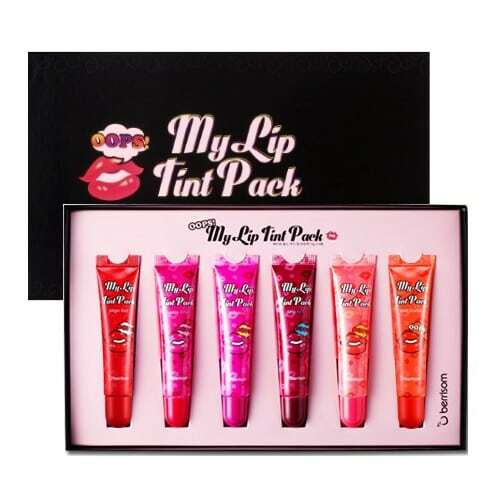 The “My Lip Tint Pack” is seriously changing the game of lip products, which we all know are so popular right now and an integral part of a girl’s makeup routine. So, if you’re struggling to find the lipstick or stain that works for you, or the one that can last as long as you need, check out their website. I know I will be.